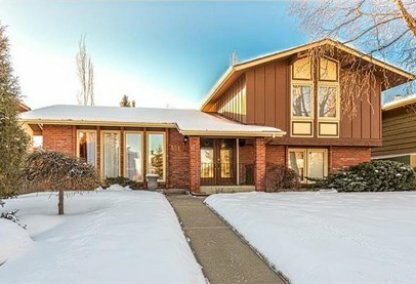 See the newest Parkland homes for sale in Calgary! 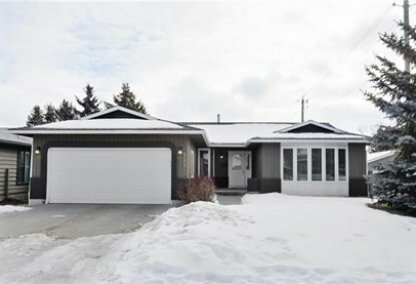 Situated in Calgary's south zone is the residential community of Parkland with a total land area of 2.1km2. The neighborhood is located adjacent to the Fish Creek Provincial Park and bounded by Canyon Meadows Drive on the north and Bow Bottom trail on the east. Discover just listed Parkland homes & condos for sale now! Schedule a private condo or home tour with your Parkland Calgary real estate agents today. Parkland housing market statistics: As of April 22, 2019 there are currently 23 properties for sale in Parkland listed as active, with an average asking price of $680,335. The highest-priced property is $1,193,000; the lowest priced property can be purchased for $284,900. Parkland neighbourhood listings have an average price of $403 per square foot, based on listings with 3.9 bedrooms, 3.2 baths, and 1,738 square feet of living space. Selling or buying a home in Parkland Calgary soon? Call Justin Havre at RE/MAX First - 403.217.0003. Our community of Parkland real estate agents will help you navigate the Parkland housing market in Calgary. In 1961 Parkland was annexed and became a part of Calgary; it would be established as a community thirteen years later, in 1974. Parkland belongs to Ward 14 with Alderman Peter Demong representing the neighbourhood in the city council. Parkland had a population of 3,772 according to the 2011 census. Parkland's median household income in 2005 was $108,874. Residential properties in Parkland included apartments, single- and semi-detached homes, and row houses, with 95.4% of these occupied dwellings being owned and 4.6% being rented. The community of Parkland offers neighbourhood home owners magnificent views of the meadows, river, and ancient trees. Aside from the vast open spaces in the area, residents can also enjoy a number of parks within the neighborhood, including Fish Creek Provincial Park. The Parkland Community Association is also responsible for organizing and managing various community programs and recreation activities for the residents. The association takes charge of the yearly festivals and special events within the subdivision, such as a winter festival and Halloween party. Home buyers are also able to enjoy the yearly garage sales. The Parkland community is also involved with "Friends of Fish Creek Park," which aims to preserve the park and the wildlife it contains. Parkland also has both a separate and public school. Home owners have direct access to the downtown area via Canyon Meadows Drive, Macleod Trail, and Bow Bottom Trail. These pathways make it easy for Parkland real estate residents to visit and enjoy the various downtown establishments, which include shops, restaurants, malls, and more. Thinking of buying or selling a home in Parkland Calgary? Let our local real estate agents help guide you through the purchase of your next property, or to professionally negotiate the sale of your current home. As local Parkland real estate agents, we're experts on the market dynamics unique to the Parkland real estate. We'll get to work today! Contact Justin Havre at RE/MAX First - 403.217.0003 to learn more about buyer or seller representation. Planning to sell your Parkland home? Check out our home evaluation tool, where you can instantly view Calgary Homes Values online!